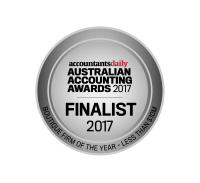 Business Accountants – Based in Blackburn, Melbourne. 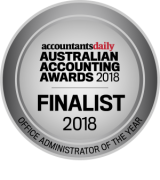 Dendra Accounting Group is an award winning accounting firm based in Blackburn, Victoria, recognised by experts in the Australian accounting industry as consistently delivering outstanding outcomes for it’s clients, who are predominantly businesses & contractors based in Melbourne. Our objective is to help our clients minimise tax and maximise wealth. We specialise in serving the needs of small and medium sized businesses and we have considerable experience in recovering interest and penalties from the ATO, even when already paid. The recovery of interest & penalties from the ATO, (even when already paid). At Dendra we exist to serve our clients and truly believe that your accountant should be the most trusted, reliable and responsive consultant supporting you and your business. For us communication is critical! We prioritise getting back to you when you call, and each and every year we sit down with you in a face-to-face meeting to get up to date with your biggest challenges. This face to face time allows us to understand your situation and bring our expertise to bear in ways that makes a huge difference to your bottom line. A Finalist in the Australian Accounting Industry Awards for the past three years, Dendra have been recognised with nominations for ‘Boutique Accounting Firm of the Year’, ‘Fastest Growing Firm of the Year’, ‘Business Advisory Firm of the Year’, ‘Accounting Firm of the Year’ and ‘Executive of the Year’; and in 2017 George Kontominas, the Principal Accountant at Dendra Accounting Group won the SMSF & Accounting Award for Victorian Partner of the Year. Led by George Kontominas, Dendra’s team of talented accountants includes some of the best and brightest accounting minds in Melbourne, who work at Dendra because they get the opportunity to work in a team based environment that digs deeper and goes further to really help it’s clients. But what does that mean? It means we focus on innovation, the latest technology, continued learning and development and most important of all – a team based analysis of your business and personal situation. Every clients situation is different and as a team we collaborate to optimise your affairs, by minimising tax and maximising wealth. At Dendra, we encourage collaboration between our team of industry leading accounting experts, who all discuss and brainstorm your account. This means you don’t just get a new accountant, you get a team of expert accountants collaborating together, identifying every possible angle or advantage to benefit your situation. This team based account management approach sets Dendra Accounting Group apart from every other firm of accountants in Melbourne, and helps us produce exceptional results. You will get the very best tax advice, the very best advice on your business structure and access to the most up to date and effective financial strategies available. We will help you minimise tax, protect your business and personal assets and increase your wealth. So, if you are looking for a proactive business accountant, a firm committed to helping you restructure and grow your business and improve your personal wealth, then look no further than Dendra. We really do strive to be the best accountants in Melbourne. To experience the ‘Dendra Difference’, contact our Blackburn office, or make a time when we can come to you, call 03 9808 0208 now or click here.